Amy was once a party girl, but now she lives a lonely life. Helping the house-bound to receive communion in the Gravesend neighbourhood of Brooklyn, she knows the community well. When a local woman goes missing, Amy senses something isn’t right. Tailing the woman’s suspicious son, she winds her way through Brooklyn’s streets. But before she can act, he is dead. Captivated by the crime she’s witnessed and the murderer himself, Amy doesn’t call the cops. Instead, she collects the weapon from the sidewalk and soon finds herself on the trail of a killer. "She read once about saints and sleeplessness, how insomnia teamed with fasting could produce visions. Is she in the middle of something like that now? Not that she's a saint. But as a regular person, hit by this trauma. No food, no sleep, her nerves a jangle of fears. Everything seems sharper and brighter and more defined to her. The train overhead is louder. Time feels thinned out, like she's inhabiting an illusion." 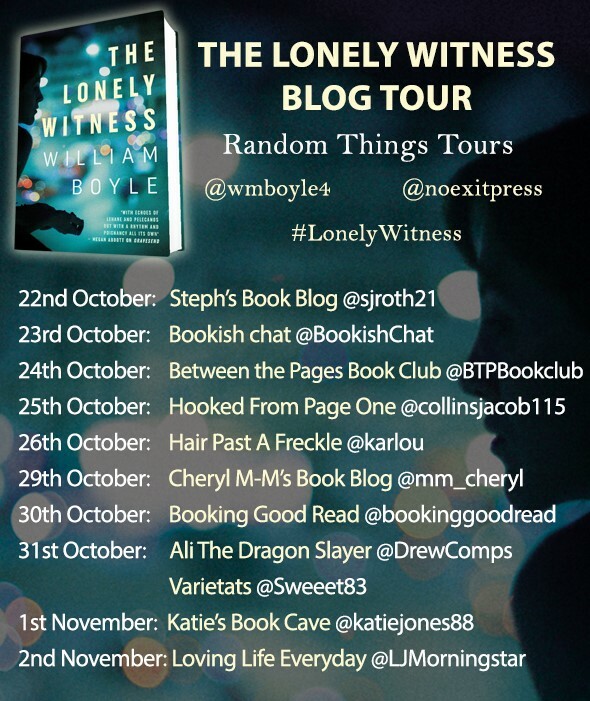 This had been a dark read, slow paced and full of curious characters, because Amy is a lonely woman, but she needs to confront some of her past fears and problems if she wants to be a different person. Amy is a good person that will get your attention since the first page; she had changed her party life for a loneliness life in a Brooklyn neighbourhood; helping the house-bound neighbourhood at Gravesend. She will try to help one of her neighbours when she will witness a murder; making her obsessed around the victim and his murder, and prompting her to remember the worst memories of her childhood. This had been a realistic read, in which the reader feels transported to the Gravesend neighbourhood with all their people and problems, with their kindness and friendship that will make Amy open-up and share all her layers that had been hiding to the world since she was a child. I am sure this is not the typical mystery you are used to, because what gets you attracted to the story is not the mystery but all the characters and how they create a family with their problems and faults; and how you see Amy change in front of your eyes, step by step. Because even if Amy wants to be isolated from everyone, she will learn that she has people around her that love and care for her. 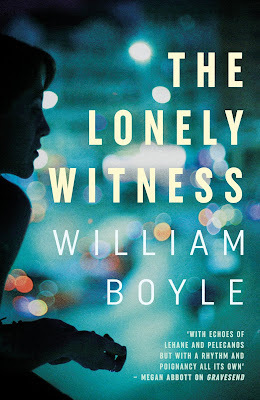 Ready to be "The Lonely Witness'? 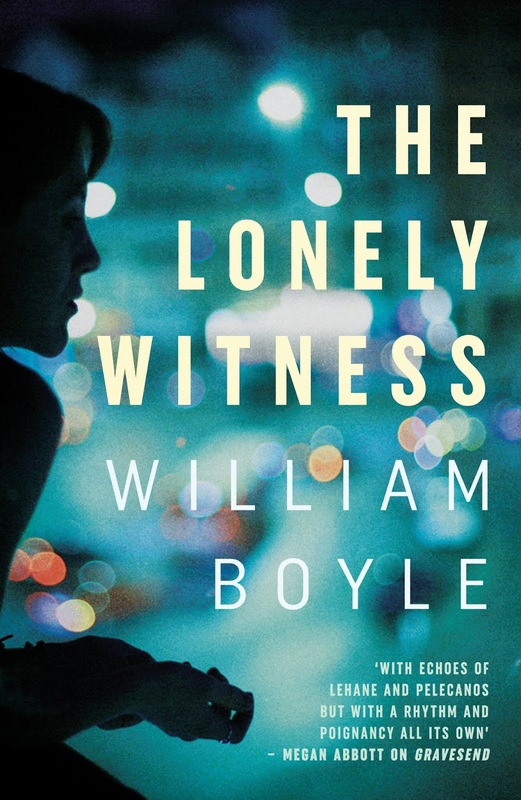 William Boyle is from Brooklyn, New York. 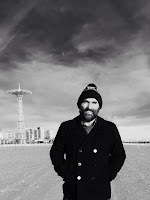 Boyle is also the author of Tout est Brisé, a novel recently released in France by Gallmeister, a book of short stories called Death Don’t Have No Mercy and the CWA John Creasey (New Blood) Dagger nominated Gravesend. He lives in Oxford, Mississippi. His third novel, A Friend is a Gift you Give Yourself, will be published by No Exit Press in 2019.